In the back from left are Max Diraddo, Anthony Iatarola, Amanda Attanasi and Dominic Zacamy. In the front from left are Andrew Briggs, Ravenna Sargent and Isabella Dulude. Chestnut Ridge Middle School principal Jim Barnes honored the school’s February Students of the Month. 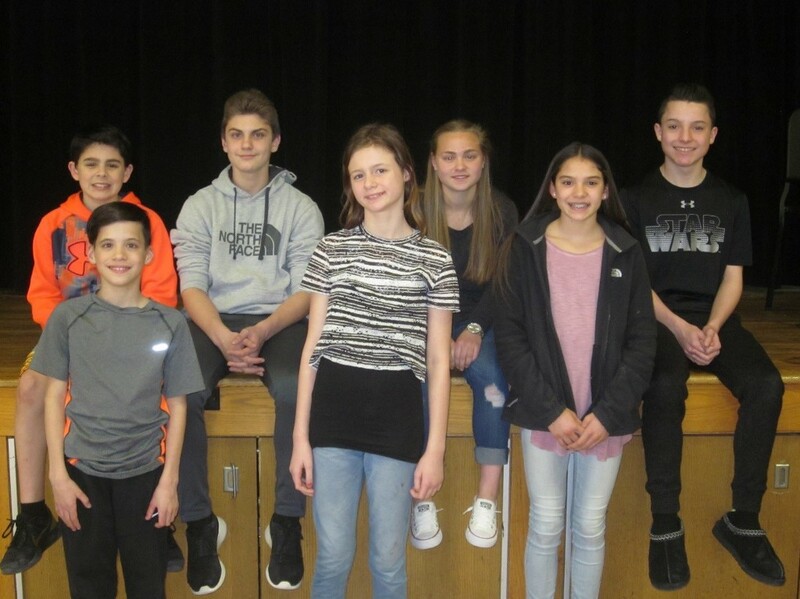 The honorees included Ravenna Sargent, Max Diraddo, and Isabella Dulude, sixth grade, Dominic Zacamy and Andrew Briggs, seventh grade, and eighth graders Anthony Iatarola and Amanda Attanasi.